1. Wear moisture wicking and breathable materials. I can't tell you how many people I see wearing cotton t-shirts out when they are running, and I always wonder how they can stand it. I hate being hot and sweaty, so it's important for me to wear a shirt and shorts that pulls the moisture away from the body to the shirt, where it can dry quicker. I wear looser tops in the summer, because I like some airflow, plus, I'm very uncomfortable when the clothes are sticking to me from all the sweat. Loose is better (in my opinion, anyway). I'd also suggest wearing lighter colors that reflect the sun, rather than absorb it. 3. Wet your hair down before heading outdoors. I find my runs to be more bearable if my hair is already wet when I begin, because it (at least seems to) help prevent over heating. 4. Hydrate. This one is sort of like a 'duh! 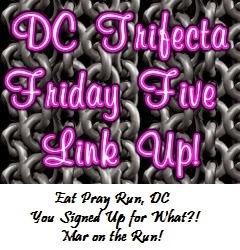 ', but you know there are plenty of runners that don't drink enough water (myself included, though usually on a run I drink a lot, it's pre- and post-run where I have trouble). Plus, even more so in the summer, it's important to also hydrate with electrolytes. With the heat comes more sweat, which means your sodium and potassium levels drop, two items you can help replenish by drinking some Nuun, Gatorade, or whatever your sport drink of choice is (water on its own doesn't replace the sodium and potassium lost, hence the need for electrolytes). I prefer Nuun, because it's a lighter flavor than other sports drinks. 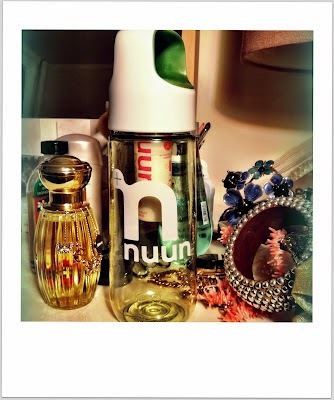 You can read more about why I love Nuun here (from last week's Friday Five). P.S. Does anyone know if you can still get a bottle like the one in the photo above anywhere? 5. Take some frozen grapes with you. During a hot/humid day, it can be a nice treat to eat some frozen grapes while out for a run. Not only is the cold factor refreshing, but you are also getting some sugar and vitamin C.
A few extras might include (but certainly aren't limited to): running early before the sun is up (or even after, either way it's usually cooler in the morning than the evening. I will admit you will never see me waking up to go for a run before the sun has made its appearance), working out indoors on the unbearable days, and go swimming! I sometimes switch up my training schedule (move days around), depending on how the weather is looking. If the day after my scheduled long run is going to be cooler, I'll switch my long run to that day instead. 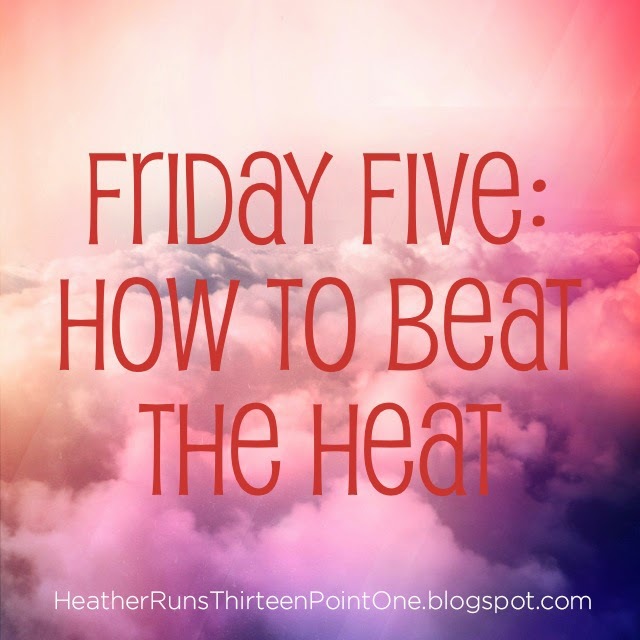 What do you do to beat the heat/humidity? Any special tips, tricks, or advice? Have a great weekend, everyone! I hope you have a chance to enjoy the outdoors, and it isn't too hot/humid where you are! 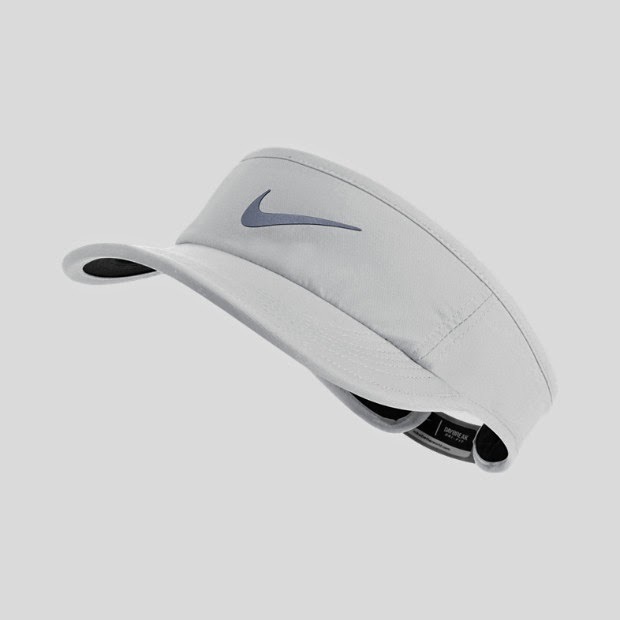 I'm a big fan of visors, although it seems like everyone is making them with super small brims nowadays. I need more shade! I also love frozen grapes whether I'm running or not. So good! It would drive me bananas – just thinking about it makes me cringe and feel uncomfortable haha. I never wear anything on my head, but I like the idea of a visor! I hadn't thought of that, so thanks! Happy to help :) Let me know if you end up getting on and how you like it! Frozen grapes on a run what an awesome idea!!!! :) Let me know if you try/how it goes! 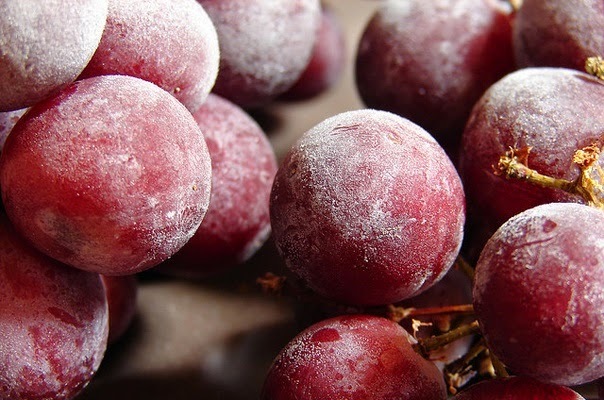 frozen grapes is an amazing idea! what a treat :) thanks for linking up! The wet hair tip is brilliant! Definitely trying that next time! Thanks. Let me know how it goes! I love frozen grapes. Havent thought about taking them with me though. I'll have to try that. Let me know how it goes! I would suggest eating them during a walk break, since running and eating them could cause problems (ie choking hazard!). I am all about visors when I run, my eyes are so super sensitive I do anything I can to shade them! I hear yo. A visor AND sunglasses are definitely a must for me! Even when it's cloudy haha.